What Did I Step In? Looking for an awesome outdoor fun with your friends? How about an unforgettable birthday party? We like to look at our laser tag as LIVE ACTION GAMING! This experience is unlike any other in the area! ​Call or message us to schedule your group. Laser tag is also available any time during our open hours as an add-on. 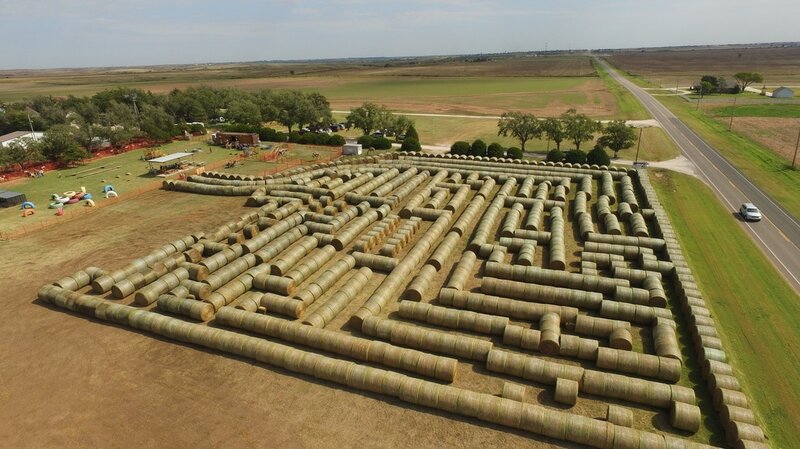 In the fall, you have the opportunity to experience finding your way through the largest round bale hay maze in Oklahoma! You are sure to get your step count in for the day once you find your way through this massive round bale adventure. While you're at it, don't forget to grab your scavenger hunt card! Oh! And watch out for scary creatures hiding in the corners on the weekend of Halloween!